If you’re reaching the age when you’re starting to think about assisted living, it might also be time to revisit your nutritional needs. Caregivers in Memphis note that the amount of specific nutrients a person needs can change throughout life. Your doctor can let you know if your meal plan could benefit from some adjustments. 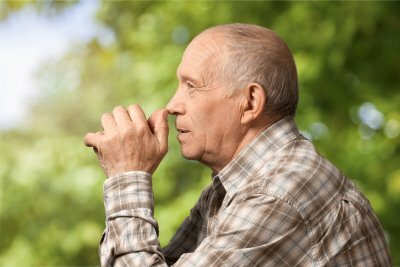 Elder care providers also stress the importance of drinking plenty of water later in life, as a person’s awareness of thirst declines with age. Watch this featured video to learn about the six categories of essential nutrients you need in your diet. You’ll also learn about adding other nutrients such as resveratrol, carotenoids, phytosterols, and phytoestrogens to support your good health. If you’re having trouble preparing nutritious meals for yourself, an in-home care provider can help. When diagnosed with a limited life expectancy, patients, as well as their families, are left with decisions to make about end of life services. If you’re considering hospice care near Memphis , it’s vital to understand how this service can help patients and their families. 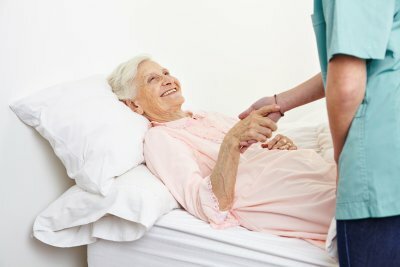 Hospice care providers are uniquely equipped with the knowledge and skills needed for helping terminally-ill people feel more comfortable and at ease during their final days. The support that these providers can lend can make the end of life process easier on both the patient and his family. When you and your loved one choose to benefit from hospice care, this prevents complications associated with overtreatment at this stage in the patient’s life. Additionally, hospice providers can help patients and their families cope with the final stages of life. When a patient is considering hospice care, they may be worried about the help they will require in their final days. Opting for specialized end of life care can help patients and families enjoy more time together. Caring for a sick individual can be time-consuming and exhausting, as well as stressful. Hospice care providers can help by providing assistance with light housekeeping, laundry, food preparation, and personal hygiene. These services allow family members to take a break from their caretaker duties and spend more quality time with their loved ones during this emotional period. Making patients as comfortable as possible during the final stages of life can help them feel less fearful about the dying process and ease some of their stressful emotions. Hospice care providers are skilled at helping patients who are terminally ill, and can be prepared for situations that family members may not be prepared to handle. Hospice care enables families to enjoy more of their remaining time together by experiencing less stress and worry. When family members feel confident that their loved one received quality care in his last days, the grieving process can be less painful and confusing, making the transition easier for all involved. If you or one of your loved-ones requires a little extra help with daily or weekly domestic tasks, long-term home care in Memphis may be a good solution for you. Here at Caring Companions , our kind and compassionate staff are trained to assist people of all ages to lead comfortable independent lives. We offer a number of services for those who require assistance with household chores. Our staff can help keep your house clean. We can sweep, vacuum, and mop floors and carpets, dust, and keep kitchens and bathrooms in good condition. If you let us know your trash collection day, we will also take out the garbage. In addition, we can help with your laundry needs. We are happy to wash, dry, and fold clothes. We also provide ironing services on request. Let us help you keep your home clean and tidy, so that you can live in a pleasant, appealing environment. It is incredibly difficult and heart wrenching to learn that your loved one needs end of life care in Memphis . As you and your family begin investigating terminally ill caretaking services, you should consider seeking professional help and support from a counselor, therapist, or spiritual advisor. This person can help you and your loved one make the transition into assisted living and end of life caretaking services. A home health agency can provide you and your family with an in-home caregiver who has experience in end of life care. 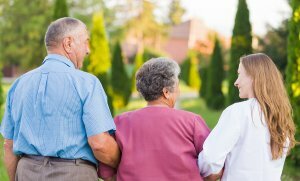 This ensures that your loved one can remain in his home, surrounded by friends and family, rather than in hospice care or an assisted living facility. A home health aide, private duty nurse, or in-home caregiver can provide your loved one with assistance with meal preparation, medication, medical equipment, light household chores, and grooming tasks. A private duty nurse can monitor his vital signs and administer medical care if necessary. Your loved one’s end of life caregiver will work closely with you and a hospice agency or medical provider to provide your loved one with the care and comfort that he needs. 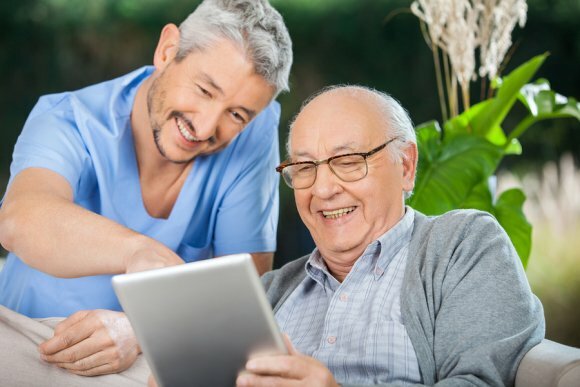 If you’re considering hospice care in Memphis for your loved one, it’s important that you have a good idea of which senior care services each hospice can provide. Hospice care often provides in-home attention for elders so that your loved one can remain in the comfort of his own home while receiving health care. Here is a simple guide to understanding the home health care services provided by in-home hospice care. If you are the primary in-home caregiver for an elderly relative, you may occasionally need a break from providing round the clock elderly care. 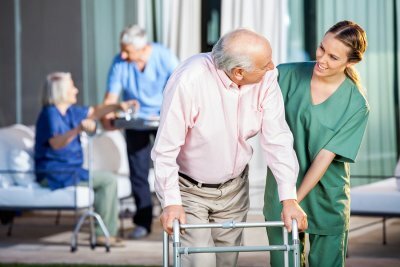 A home health agency can provide you with respite care services that allow you to take a vacation from elder care while a qualified, experienced home health aide provides your loved one with at home nursing care. You can schedule respite care on a regular weekly or monthly basis, or you can seek respite care services on an on-call basis. Dementia and Alzheimer’s disease both cause progressively worsening symptoms, including memory loss and cognitive impairment. If your loved one has been diagnosed with either condition, he may eventually need home health care and senior assisted living services. Your loved one may not be able to bathe, dress, or feed himself, and may have difficulty with mobility and remembering to take medication. If your loved one isn’t quite ready to move into a nursing home but can’t manage to care for himself, you should contact a hospice care service. A private duty nurse or home health aide can provide medication management services, personal care services, meal preparation, transportation, housekeeping services, and memory care. One of the most difficult decisions to make is determining whether a loved one needs end of life care. A home health agency can schedule regular visits from a home health aide with experience in end of life caretaking. Your in home caregiver can provide terminally ill hospice care, ensuring that your loved one receives the professional and compassionate care he needs while remaining in his own home. Although many people enter hospice care each year, it continues to remain somewhat of a mystery for the individuals and family members who utilize this service. Hospice care is a wonderful and compassionate option for people who have been diagnosed with a terminal disease or injury. If you and your family have questions and are wondering what hospice care in Memphis is all about, read on to learn some answers to common questions about hospice services. When It Is Time to Choose Hospice Care? Anytime a person is in the beginning stages of needing end-of-life care, a discussion about hospice is appropriate. If one is diagnosed with a terminal illness or injury, it is best to discuss the option of hospice when the person who has been diagnosed can make a decision clearly. 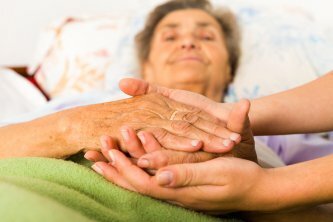 Legally, the decision for hospice care is to be made by the patient. When Does a Patient Begin to Receive Hospice Care? It can be difficult for some individuals and families to know when the right time for hospice care is. Most hospices will take on a new patient, who is referred by their physician, with a life expectancy of six months or less. Should You Wait for a Physician to Mention Hospice Care? A physician may not bring up hospice care at a time that feels necessary for you and your family to discuss it. Feel free to bring the idea of hospice up to your physician to get his or her opinion. It is also a good idea to run it by other care givers, clergy members, as well as family and friends who have received the service before. What if the Patient Starts to Recover After Choosing Hospice? In the case that a patient starts to show signs of recovery after choosing hospice, they are welcome to return to regular treatment. If a patient goes into remission or begins to heal, the patient is able to go back to a treatment that is recommended to them. Choosing a hospice that feels comfortable for you and your family will ensure that you will be cared for properly while end-of-life care is needed, as well as in the case of recovery. When a loved one is first diagnosed with a serious illness, it’s common for families to meet with specialists, explore treatment options, and consider clinical trials. 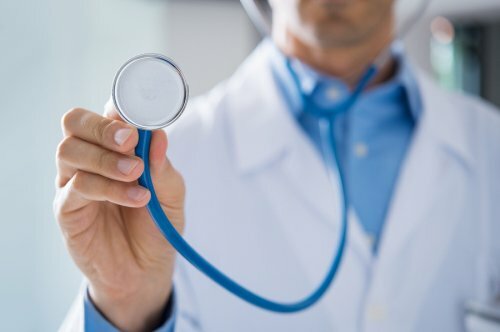 At a certain point, healthcare providers may inform the patient that the treatments aren’t working and that he or she is not a candidate for other curative options. This doesn’t mean that the patient will no longer receive care; however, services will transition from curative treatments to palliative care. End-of-life care is often provided by Caring Companions in Memphis , who may be working in conjunction with a hospice care program. An end-of-life care team is typically comprised of many different professionals. A patient may have elder care companions who provide services such as light housekeeping, meal preparation, companionship, and personal care. Nurses from the hospice care program can visit the patient’s home to assess his or her needs and determine how to improve quality of life . The hospice team may also include social workers, trained volunteers, spiritual counselors, or members of the clergy. The hospice care team provides palliative care, which can take many different forms. Palliative care does not focus on treating the condition; rather, it is intended to manage symptoms to provide greater comfort at the end of life. A nurse can help the patient manage his or her pain and other symptoms. He or she may provide prescription medications or medical supplies for symptom management. For example, if a patient can no longer get out of bed to go to the bathroom, the nurse can insert a catheter that will stay in place and drain into a special bag. An important component of end-of-life care is support for the whole family. A hospice care team can offer the family practical assistance and psychological counseling. For instance, a hospice nurse can instruct family members on how to properly set the controls on oxygen therapy equipment, how to lift and transfer the patient, and how to administer medications. A spiritual or psychological counselor can be there to offer emotional support to family members as they struggle to cope with anticipatory grief during their loved one’s illness and the grieving process after the passing.